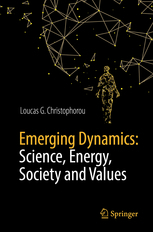 Emerging Dynamics: Science, Energy, Society and Values focuses on the impact of science, science-based technology and scientific values on present-day humanity and its future. The book advocates for a science willing to accommodate both human values and scientific facts. The fundamental role of energy for civilization and society. The book cuts across scientific disciplines and looks at modern civilization through the knowledge provided by the physical, chemical, biomedical and other branches of natural science. The book is unique in its holistic approach, combining knowledge acquired by deduction, reduction-induction, and experimental scientific methods with knowledge acquired through history, philosophy, the arts, faith and cultural traditions. Modern civilization’s most distinct characteristics are due to science, science-based technology and energy. The role of energy in the sustainability of civilization and the impact of biomedical science on man are especially emphasized throughout this timely book, making a case for a hopeful future based on both science and values.